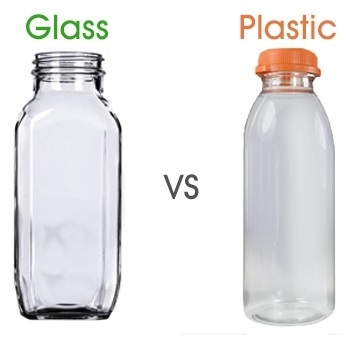 Which is better, glass or plastic? It turns out, the question is about as straight forward as chicken or the egg. Of course, humans have been sorting, reusing, and re-purposing “trash” throughout our history. Before plastic bags and bottles, there wasn’t much that couldn’t be reused. Food scraps were given to animals, bones were ground into fertilizer, and even fabric scraps were turned into a commodity. All of that began to change around WWII with an increased popularity of beverages sold in single serving packages, mainly soda and beer. Bottle deposits were a way to encourage customers to return bottles, helping the companies offset packaging costs. Plastic bottles were introduced in 1968 and nearly 50 years later, many of us find ourselves looking back at glass bottles wishing for their return. So is glass really better? You’ve probably heard these stats before. Up to 80% of recycled glass can be reclaimed, and recycled glass uses 40% less energy than manufacturing new glass. 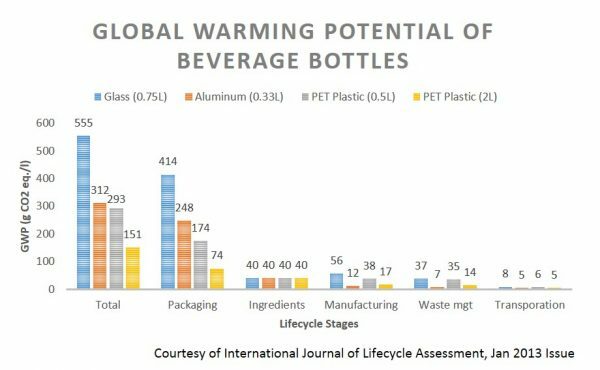 But these are statistics about glass recycling and, unless glass is recycled, many argue that the ecological footprint of single-use glass is actually larger than plastic. 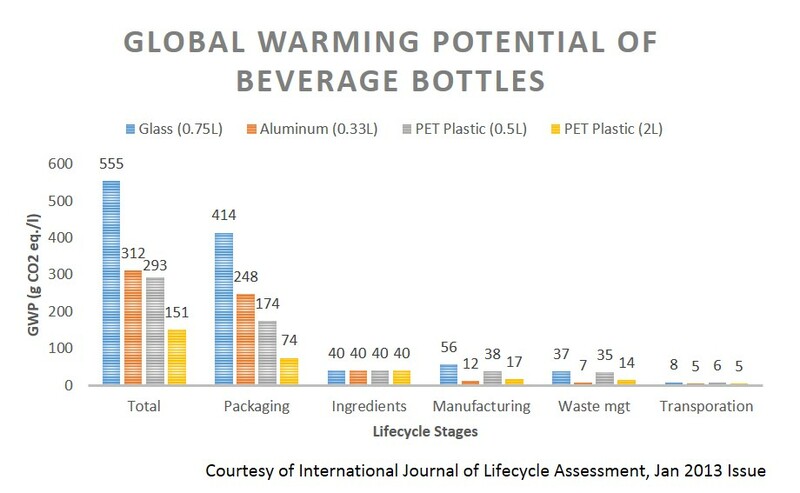 According to the Jan 2013 issue of International Journal of Lifecycle Assessment, glass beverage bottles cause the most environmental damage, including global warming. Reusing a glass bottle three times lowers it carbon footprint roughly to that of a single-use plastic beverage bottle. If the plastic bottle gets recycled, however, then the glass bottle must be reused 20 times to make their carbon footprint comparable. And what about plastic? Its lighter, requires less energy and fewer emissions to transport. Glass packaging makes up 1/3 the weight of beverage bottles, which is significant when you think of a delivery truck filled with half-gallon bottles of milk. The clear downside is that plastic bottles are made from petroleum and can leach chemicals, especially when exposed to heat. Recycled plastic bottles can rarely be made into beverage containers and must instead be downcycled into other plastic goods. The bottom line is we must all start doing a better of job of reusing and recycling our glass bottles, because throwing a single-use glass bottle in the landfill creates just as much waste as plastic bottles and probably leave behind a larger carbon footprint. Plus, the sound of glass recycling can make a fantastic alarm clock.